1Allen key set: Will help you to stighten the chassis screws, the Mk8 direct drive gear and the pulleys. 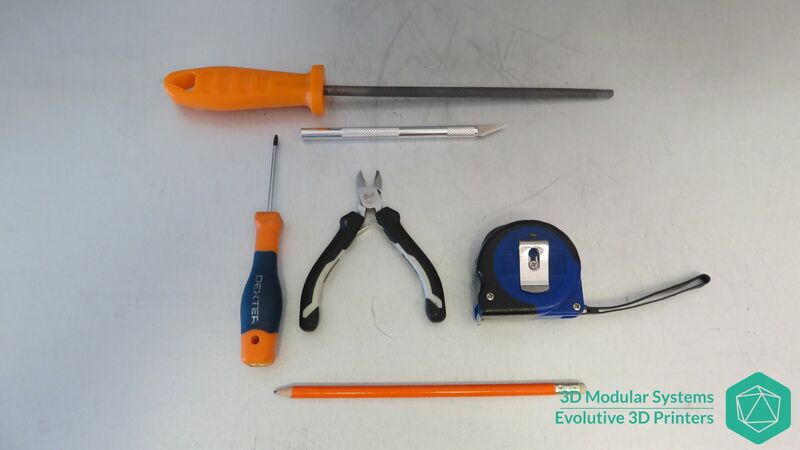 1 ceramique screw driver: Will be required when you are calibrating the current of the stepper motor drivers. Polyamide Tape: Will be required to prepare and protect your aluminum heatbed before printing. 1 Pen Sharpener: Will help you to sharpen the tip of the plastic filament in order to make it easier to push the filament up into the hot end input. 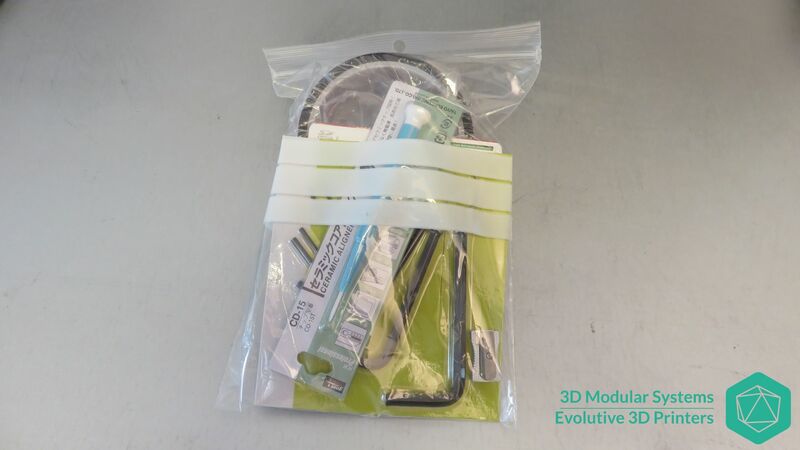 1 SD-Card: Already pre loaded with a lot of resources (Stl models of the plastic parts, softwares, firmwares, printing profiles, goodies…),You can also use it to print using the SD-Card reader located on the side of your 3D printer. 1 philips screw driver: Will help you with certain screws, such as heatbed wood screws, and screws used to fix 2 plastic parts together. 1 bubble level: Will help you to align the smooth rods with the chassis. 1 meter/40cm ruller: Will help you to place the different elements at the proper location on the chassis. 1 cutting pliers : Will help you to cut the colson collars, wires and so on. 1 scalpel with some blades: Usefull to clean up some plastic parts if needed. 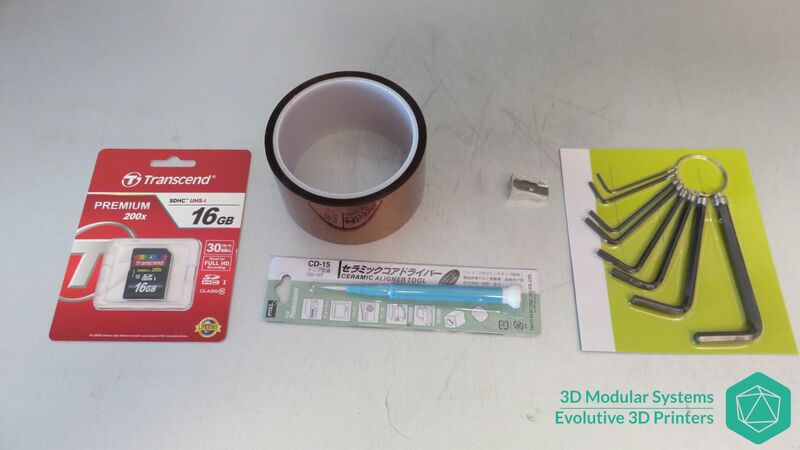 1 wood file: To adjust/cleanup some plastic parts. Cette entrée a été publiée dans Imprimante Scalar, Scalar M, Scalar XL, et marquée avec Allen key, bubble level, ceramic screw driver, cutting plier, Kapton, pen sharpener, scalpel, screw driver, SD-Card, wood file, le 8 October 2015 par Nicolas Rambaud.